The Stuhalm probably is the most pittoresque hut in traditional style in front of the Gosaukamm with it´s remarkable Bischofsmütze. 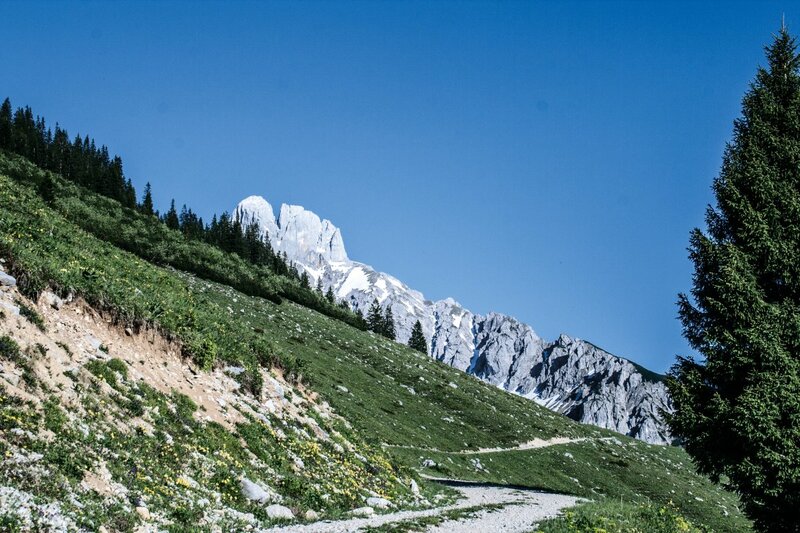 Here you will find an ideal hiking paradise for the whole family, as well as alpine tours and via ferrata climbs for experienced alpinists. Afterwards you can appreciate those moments over a mouthful of our local specialities. If you want you can stay overnight! Shortly before you arrive in the Town of Annaberg you have to turn left , follow the sign to Astauwinkel. Starting you hike here, you’ll justhave to walk a short and easy forest road. Keep on walking and you’ll arrive on the Stuhlalm in 1-2 hours. 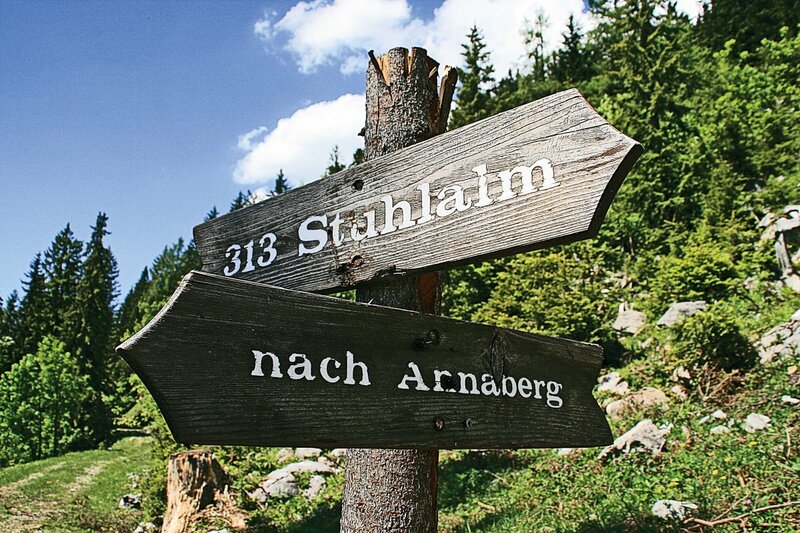 We are looking forward meeting you on the Stuhlalm!